I am a Digital Realm Aficionado, a 3d Enthusiast and a Habitual Technology User. Welcome to my website. In 1994 I learned how to create animations on a computer. Since then I have designed, directed and produced creative such as games, commercials, websites, animation, process and other various digital experiences. I strive to have every day filled with the opportunity to learn, create or educate. I am a husband and father of one. I am an advocate for innovation. I am Jimm Wagner, and you are? Cast your friends and family and let the hilarious Halloween antics begin! Create, share and track! QR codes made simple and free. Gear up for back to school with the latest and greatest tech! MOBILE OF THE DAY, 6TH MAY 2013. 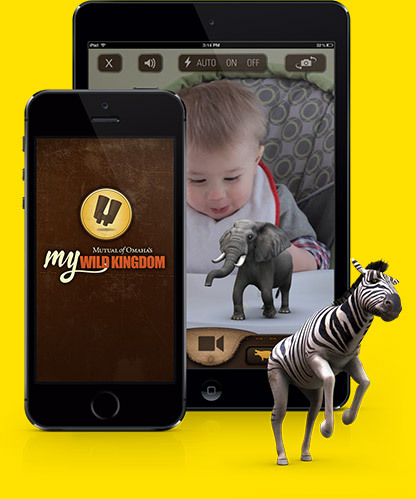 Mutual of Omaha’s My Wild Kingdom is a wild animal adventure app that lets you to turn any photo or video into a fun virtual habitat you can share with your family and friends! MOBILE OF THE DAY, 2nd NOVEMBER 2011. 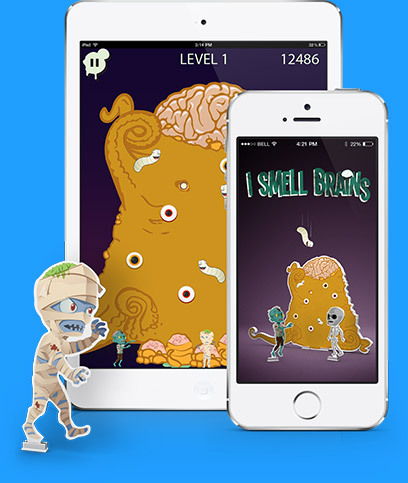 Defend the offspring of the brain replicating alien drifter (AKA Brad) through 12 levels of continuous zombie onslaught or try to rack up a high score by wrecking zombies in the survival mode.